The American labor force is getting older and will get smaller. Already, one in three American workers is over the age of 50. By 2019 every baby boomer — 44 percent of the labor force — will be 55 or older. Growth of the labor force is also slowing. Over the next 10 years it will grow by only about 5 percent, compared to 12.5 percent growth during the last 10. As more people reach retirement age the numbers of those leaving the labor force are almost equal to those entering it, and there will fewer workers entering. The birth rate in America has already dropped below the replacement level of 2.1 per woman, and now stands at 1.9. Growth in the population will mainly result from immigration, which may also decrease if policies become more restrictive. USA Today reports that a survey of American workers found that 82 percent of the respondents age 60 and older either are working, or expect to keep working past the age of 65. Among all workers, 20 percent expect to keep on working as long as possible in their current job or a similar one. The reasons vary. For some retiring is just not an option since they don’t have enough money saved to live comfortably. For others it’s a choice. They’re physically capable and enjoy working. Recruiting will obviously become more challenging as the supply of labor declines, but before anyone starts cheering the prospects for job security, let’s consider some of the challenges we’ll face. The U.S. Bureau of Labor Statistics estimates that over the next decade, 95 percent of the increase in jobs will occur in the service sector. A lot of these jobs will not appeal to millennials because of low pay or limited career prospects, leaving employers little choice but to hire older workers. But many of those interested and willing to work in these jobs will have no relevant experience. Over the next decade manufacturing jobs are projected to shrink by over 800,000, on top of the 2 million lost in the last decade. That’s about 3 million workers with little or no service experience and few options but to find work doing service jobs. Since these candidates will lack directly relevant experience, recruiters will have to evaluate them based on capabilities and potential using criteria like loyalty, track records, competence, and enthusiasm. With labor pools drying up, creative sourcing will require reaching out to retired workers and bringing them back. Some employers like Michelin already rely on this group for large numbers of hires. Enticing older workers and retirees back will require having non-traditional work arrangements. Flexible hours will have to become the norm. Many older workers can’t work regular, full-time jobs because of family commitments, physical limitations, or a desire for work-life balance. Most employers are not ready to deal with the challenges associated with an older workforce. 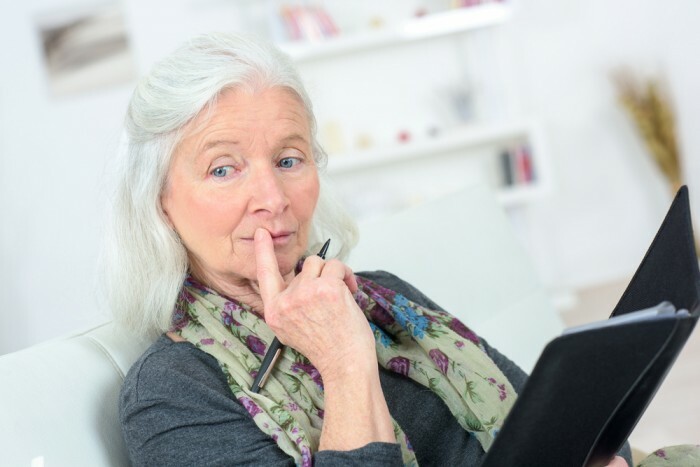 A recent SHRM survey found that the vast majority of employers — 97 percent — have no formal strategy to recruit or retain older workers. Employers will need to figure out what accommodations will allow older workers to be successful. This isn’t particularly difficult. BMW staffed one of its production lines with older workers and achieved the same level of productivity as its other lines by making relatively small changes, such as new chairs, wooden floors, more comfortable shoes, and adjustable tables. Adapting to an increasingly older workforce will require more than just a strategy and making accommodations. It’ll also require a cultural change. Despite laws prohibiting age discrimination biases against older workers persist. If you’ve presented an older candidate for a job you may have heard a hiring manager tell you that they’d like someone with a “longer runway.” Sounds better than saying, “bring me someone younger.” Start getting used to having a lot more candidates with short runways.